Used properly, a crate is an effective short-term tool for managing and training your dog. 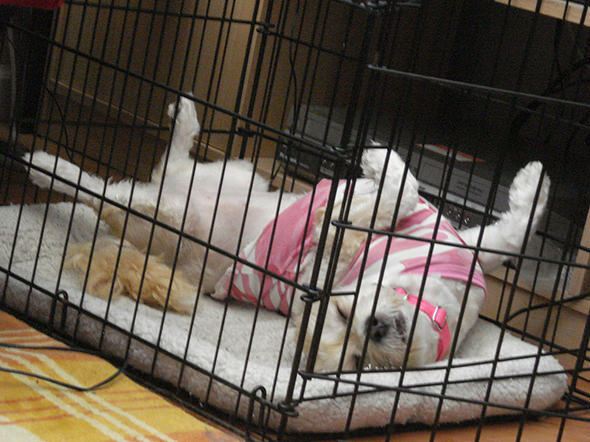 If you train your dog to be content in a crate, you’ll provide a safe, cozy place that he/she can call home and sleep in at night. It also gives you a safe way to transport your dog and travel with him/her to motels, to friends’ homes, when on vacation, etc. Crates are especially helpful when introducing a new dog into your household. 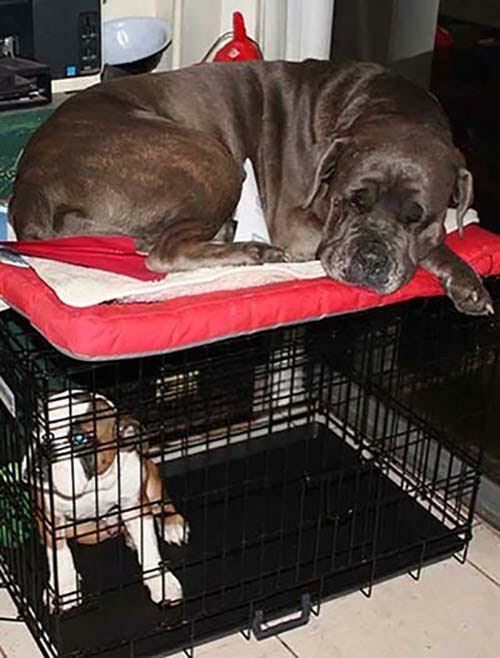 You can also use a crate to efficiently house train your dog and prevent him/her from being destructive. For Breedmaster to properly train your puppy, he/she will attend puppy camp for a period of 4 to 6 weeks. During this time, your puppy will be properly introduced to crate training and be put on a consistent feeding / watering and outdoor elimination schedule. We can also Wee Wee Pad train your puppy, if that is your wish. Upon graduation from camp, we will teach you everything you need to know to transition your puppy from crate trained to housebroken. 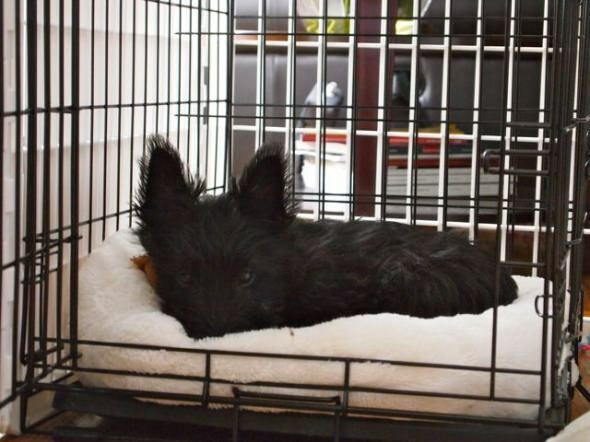 Housebroken means gradually eliminating the crate as your puppy earns the right to roam freely in your home. After completing this program, your puppy will be a VIP (very important puppy) and eligible for Breedmaster to babysit for your pet while you are away from home.